Francis Xavier’s life has been an inspiration for the whole of the Church, especially for the Society of Jesus, of which he was a member, and also for our own Xavarian Brothers. In eleven short years he travelled from Europe to the East, where he taught and baptised in countries as farafield as India, Japan, The East Indies and China. He was born in Spanish Navare in 1506. At eighteen years old he went to the University of Paris, where he met Ignatius Loyola, who founded the Jesuit Order of priests. Francis Xavier was one of the first ordained Jesuits, and he was sent by Ignatius to do missionary work in the East. He set out from Lisbon, sailed round the Southern Cape of Africa, and crossed the Indian Ocean to Goa, where he landed in 1542. In the next three years he converted many thousands to Christianity in Goa, Southern India and modern Sri Lanka. His methods were simple. He lived with the poor, sleeping on the ground and living on rice and water. He learned local languages, he taught and preached with enthusiasm. He visited hospitals, and said Mass for lepers and slaves. So successful was his work, that he sometimes became physically exhausted baptising crowds of people. As he departed each settlement, he left priests to carry on his work. In 1545 he travelled further east, to the Malay Peninsula and the East Indian Islands. Again he converted thousands. He returned to Goa, but set out again in 1549 for Japan, rarely visited by Europeans. In Japan Francis Xavier had less success than in India, so he changed his tactics. He dressed more formally, and took European presents, like clocks, to the local rulers. They gave him hospitality and opportunities to preach and to found Christian settlements. He returned to India in 1552, but then made plans to travel to China, a land forbidden to foreigners. He landed south of Canton, but almost immediately he was taken by fever. After weeks of suffering, he died on December 3, 1552. His body was returned to Goa where it was buried in the cathedral. He was canonized saint in 1622. Fr (and Dr) Gerard Lorriman - A doctor of medicine and former head of the Diplomatic Service Medical Service, he became a Jesuit at the age of 55 after the death of his wife in 1970. He served as a missionary in South Africa and was an active supporter of the anti-apartheid movement. He rose to fame when, leading a funeral procession for four black South Africans killed by the regime, he was confronted but refused to be intimidated by armoured personnel carriers that tried to impede the procession's progress. He is survived by a son and daughter (b 1 Feb 1915, d 21 Feb 2011). Group Captain Mike Stevens (DSO, DFC and 2 Bars) [see Wikipedia entry] - WW2 Fighter ace with No 3 Hurricane Squadron. An avid fisherman and noted raconteur, his two brothers flew with Bomber command (b 20 Oct 1919, d 23 Sept 2004). 1846 Xaverian Brothers come to England from Belgium. c. l880 Xaverian School opened in St. Phillip's Square, Battersea. 1896 On the 19th March the Xaverian Brothers buy Broadoak, Nightingale Hall, Nightingale Lane, Clapham Common (built c.1877). Chapel, dormitories and classrooms built. 1897	25th August: Chapel dedicated.15th September: School opened for fee-paying day boys and boarders: 30 pupils in first entry. Br. Gabriel, Headmaster: Patron Saint, St. Joseph: named 'Clapham College'. 1905 Br. Cuthbert, Headmaster: Chemistry laboratory built: playing fields at Norbury acquired. 1919 Br. Vincent, Headmaster: Hollywood bought (built c. 1783). 1922 Br. Bernardine, Headmaster: 276 on roll. 1924 Vacant possession of Hollywood obtained. A Preparatory department is opened therein. 1927 The Clapham Old Xaverians' Association was established. 1932 Boarders are no longer taken: 200 day boys on roll. 1937 230 boys on roll. 1939 Evacuation to East Grinstead. 1945 April - Return to Clapham. School becomes a voluntary Grammar School under the 1944 Education Act. Fees now paid by the Local Authority. The Preparatory School comes to an end. 1947	The Golden Jubilee of the School is celebrated: plans for a new building are published. 1950	338 boys on roll. 1960 School magazine The Clapham Xaverian' begins publication. 1970 Mr. C. Pocock, Headmaster. 1975 St. Gerard's School, Clapham Common, South Side, is merged with Clapham College. Mr. M. Gleeson, Headmaster of St. Gerard's becomes Headmaster of combined schools. 1976 New school buildings are opened in the grounds of Clapham College, Broadoak is given up and Hollywood used as a temporary 6th form block. 1977 Hollywood is given up and the Chapel and Old School building are re-conditioned and re-opened, 1,000 boys on roll. 1983 July - Mr. C. Pocock, Deputy Headmaster, retires. 1984 December - Mr. M. Gleeson retires. 1985	January - Mr. R. Sparks, Headmaster. July - Clapham College closes on the Clapham site to re-open in September on the site of Notre Dame Girls School, Battersea. September - St. Francis Xavier College opens. Mr. B. Snalune, Principal. 1986	The Notre Dame Convent is sold. Pupils move into the I.L.E.A. building in Raywood Street, Battersea. 1988 October - Remaining school, boys and staff, spend a week in Italy to mark forthcoming closure. 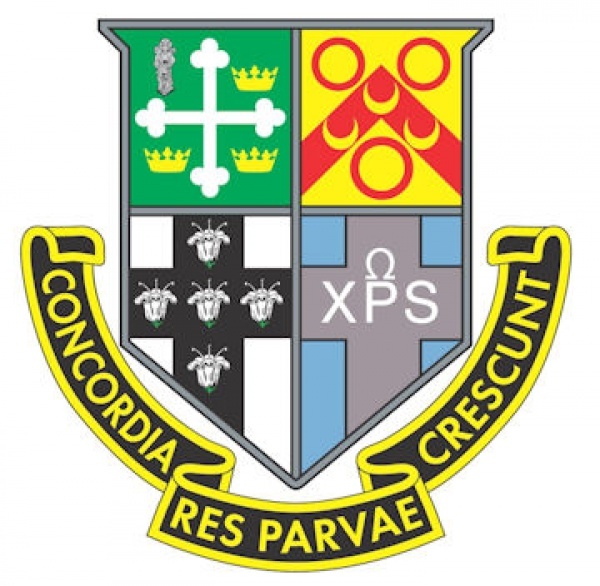 1989 July - Final closure of Clapham College. 1993 April - St. Francis Xavier becomes part of further education sector. 2009 Current Principal Stella Flannery, MA.